There is perhaps no more relaxing adventure in Alaska than fishing from a drift boat. Drift boat fishing is an excellent way to enjoy Alaskan fishing and scenery. Our fleet is comprised of constructed by a manufacturer in Oregon. Our boats are sized at 20’ x 72″ a size that allows plenty of stability and maneuverability while navigating along the waters. The boat’s interior includes four seats for clients, a rowing seat for our guides and additional space for gear and moving about. Your guide will float you down river quietly over sections containing the largest number of fish. 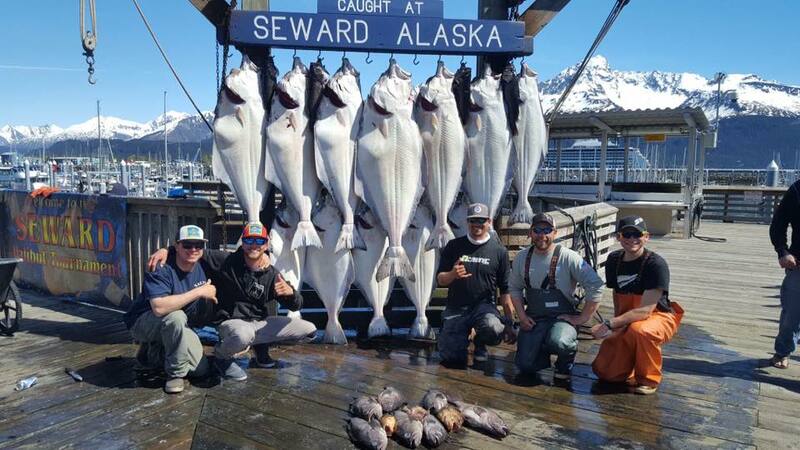 The best way to fish in Alaska! Drift river fishing takes place primarily out of the riverside town of Cooper Landing or Sterling. Transportation from Seward to the fishing location is not provided so a car is needed. Cooper Landing is a scenic 1 Hour drive from Seward and boasts some of the bluest glacier waters on the Kenai Peninsula.